We supply a range of plastic bags & paper bags used for food packaging, transportation & foodservice in the restaurant & café industry. 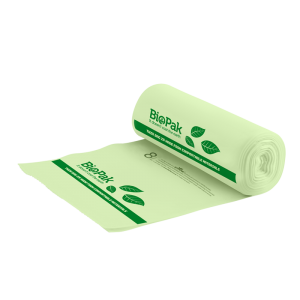 Our bags are the preferred low-cost option for most restaurants, & their environmental impact can be significantly reduced through reuse & recycling. Flat paper bags have traditionally been used for serving takeaway sandwiches, focaccias or biscuits, but are becoming increasingly popular as a medium to package hot meals as they allow steam to filter out & the food to remain fresh & crisp. 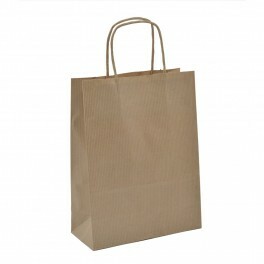 Our flat paper bags are reliable, & like our plastic carry bags, are one of the most cost effective means of packaging food. The real price of these items has fallen dramatically over time, & the bags have a minimal impact on the overall cost of the food item. Flat paper bags are 100% recyclable, & plastic bags can be reused many times to lessen their environmental impact. Our plastic singlet bags are made from premium HDPE material so they won’t tear easily when carrying a full load. Our smaller singlet bags are commonly used to transport a sandwich & a drink, whereas the larger bags can hold multiple takeaway containers. Paper checkout bags are also used to transport takeaway meals, & they have a “block bottom” to enable takeaway containers to be stacked efficiently & remain upright during transit. Commonly used in contemporary food-to-go outlets, our paper checkout bags possess remarkable strength & are a “greener” alternative to plastic bags.